My station configuration is show in fig. 1. 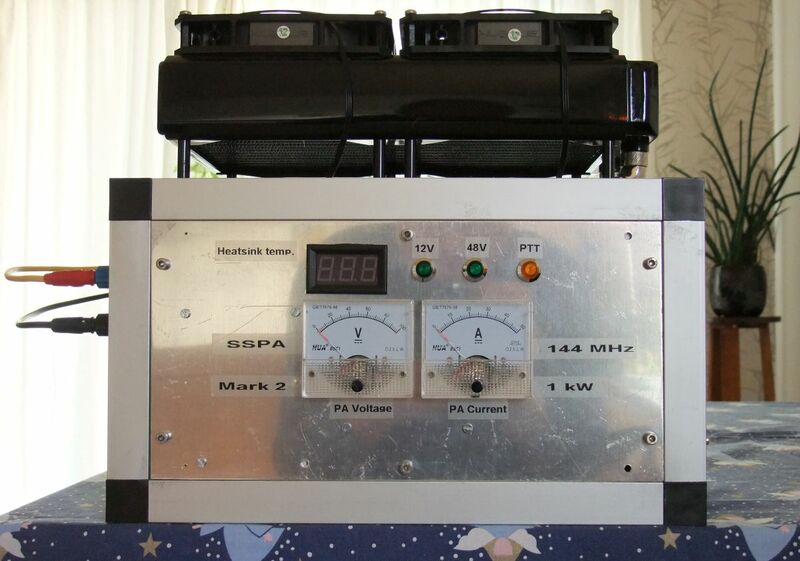 The 1 kW SSPA is connected to the antenna array using 22 meters of Ecoflex 15 low-loss coax cable. The loss in this piece of Ecoflex 15 is 0.75 dB and that equals 160 W when running 1 kW. Remaining cables are standard low-loss coax cables. The four 6-element yagi antennas are PA144-6-2 from the company Dual (YU1CF, antennas-amplifiers.com). Each antenna has 9 dBd gain, and the 4x6 array is about 15 dBd. The power-splitter is from the same company. Relay1 is a 250 W coax-relay (Tohtsu CX-140), and Relay2 is a 1 kW coax-relay (Tohtsu CX-600). 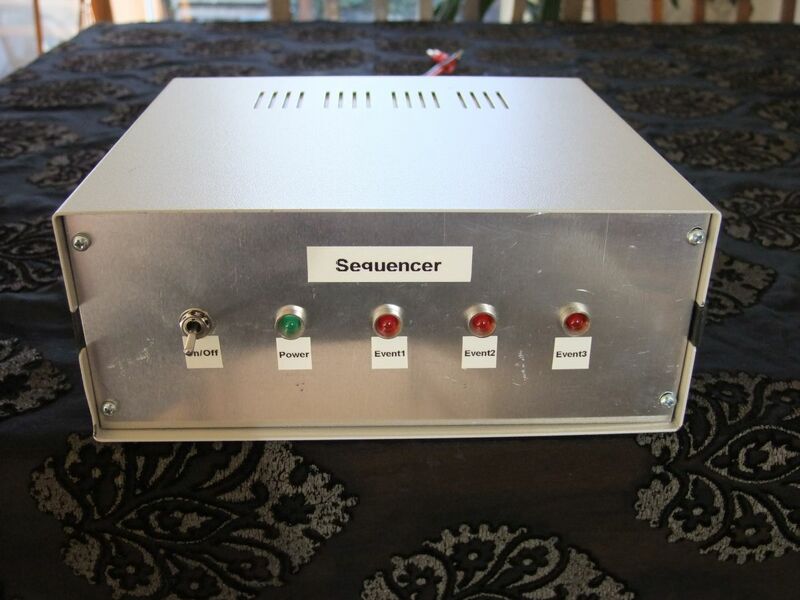 The bias-T is from Wimo.de and the sequencer is homemade. The preamp is Extra-2 with typ. 0.5 dB NF (HA8ET). Fig. 1. Station configuration for 144 MHz EME. Fig. 2. Antenna array for 144 MHz EME. My antenna array is 4x6H which is 4 stacked 6-element yagi-antennas PA144-6-2 with horizontal polarization. The stacking distance is 2.40 m horizontal and 2.20 m vertical. 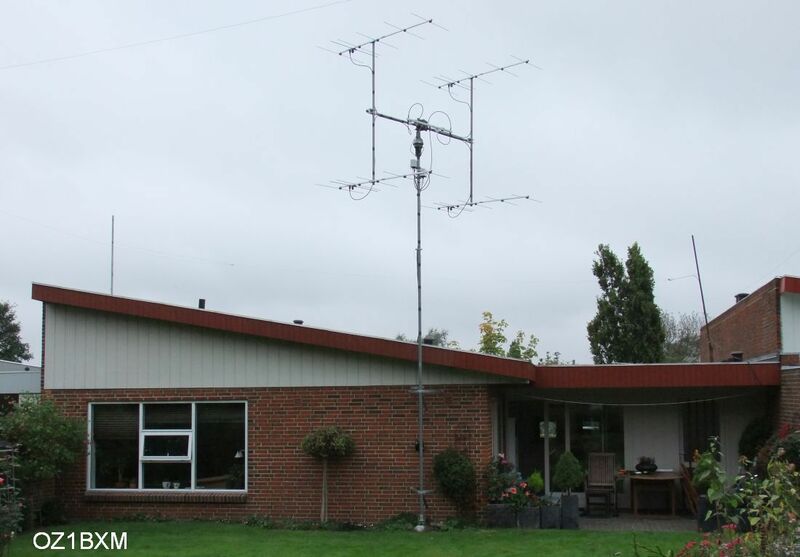 All four antennas are mounted on an H-frame made of 1½" galvanized steel tubes. The power splitter is fitted using a homemade clamp. The box closest to the antenna rotor contains a coax-relay (Relay2). The other box contains the preamp. You can view my rotor system in fig. 3. The antenna is turned horizontally with a Yaesu G-600 rotor (6a), and elevated with a Kenpro KR-550 (6b). Both rotors are controlled by the ERC-3D rotor controller (4) which interface the 2 control boxes (5a and 5b) using relays. 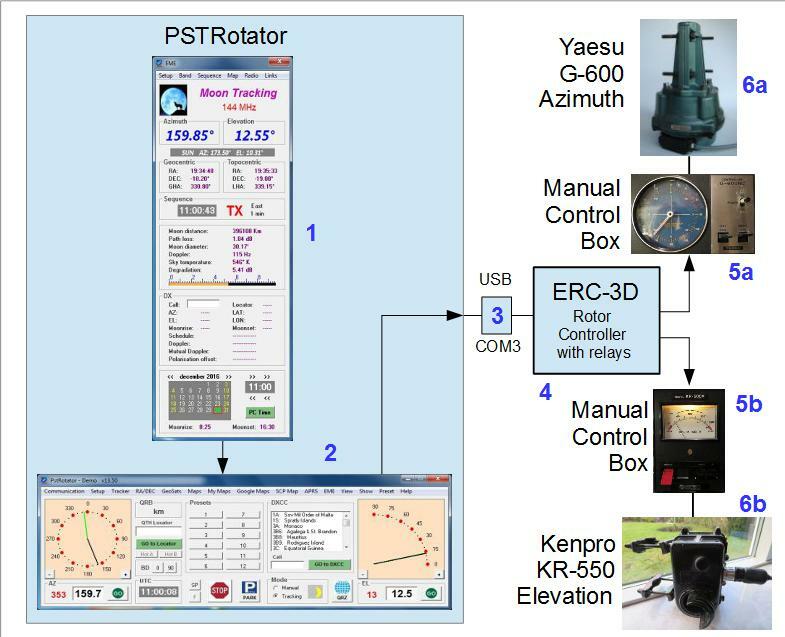 The controlling software is PSTRotator (2). It has a separate window dedicated to Moon tracking (1). The interface between the PC and the Rotor Controller is a USB-to-serial converter (3). Fig. 3. How rotors are controlled. 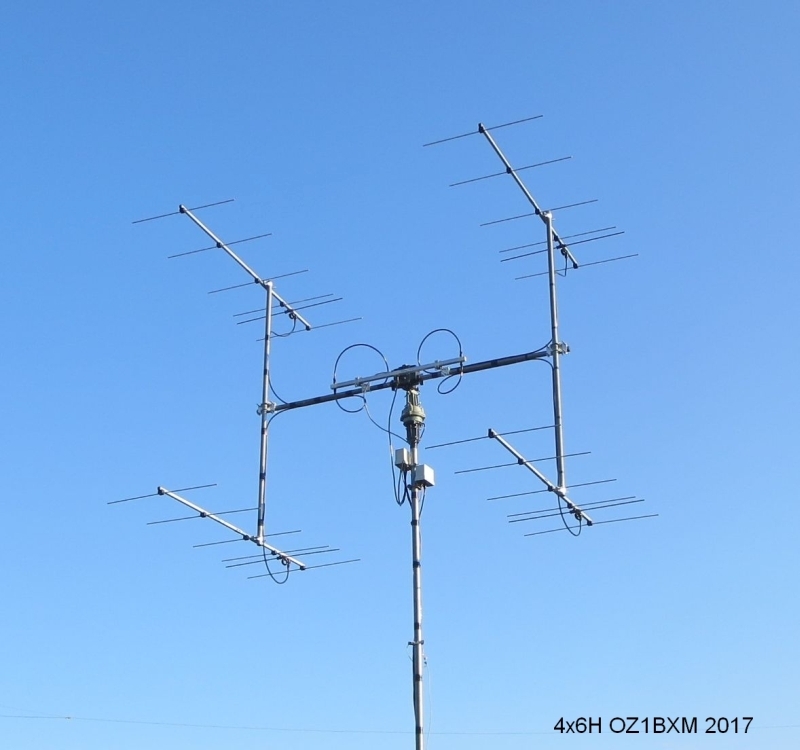 I used an 8 element horizontal yagi (11 dBd gain) and elevation. My sked with HB9Q (monster station) was not successful. I tried with another big station. He used horizontal polarization first, and then vertical polarization; no signal was heard. I used a 2 meter long ash tree cross-boom with 2 x 6 element yagis. This array was light and the wind resistance was low. The two 6-element yagis were PA144-6-2 from the company Dual (YU1CF). Each antenna has 9.2 dBd gain and a pair provides 12 dBd gain with vertical polarization. 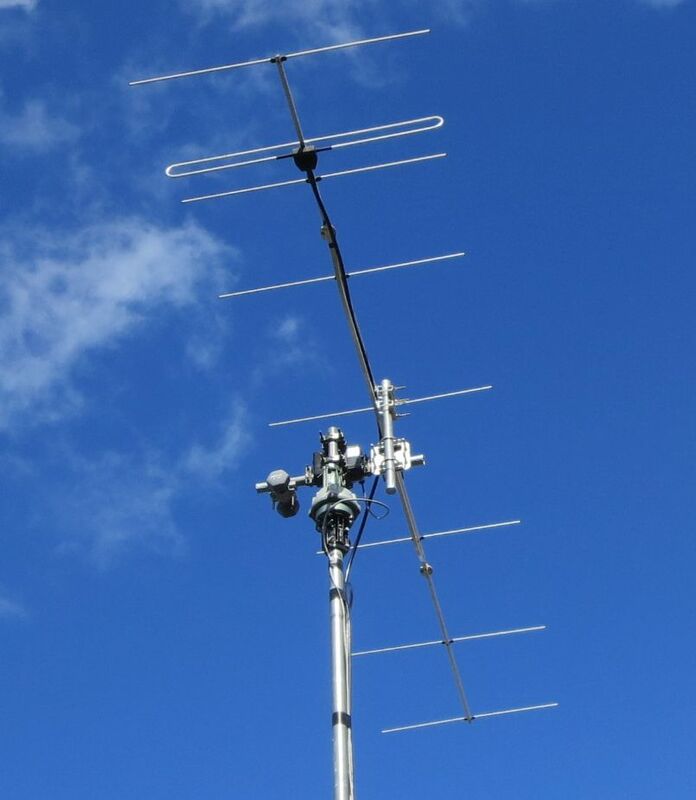 I heard the Graves radar (143.050 MHz) and a few powerful EME stations using these yagis. No QSO. I decided changing from vertical to horizontal polarization in order to hear and work EMEstations. The distance from the Earth to the Moon is not constant; it varies between 362.600 km to 405.400 km. The below photo was taken from the OSIRIS-REX satellite, about 3 million miles away, dated Oct 2, 2017. The Earth-to-Moon distance on this day was 390.000 km (242,000 miles). The photo was posted by Mike Cooper in the Facebook group Earth Moon Earth (EME) Radio Communications. The Moon 390.000 km away from Earth. Latest update 06-April-2018 by Lars Petersen, OZ1BXM.